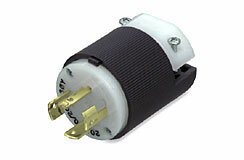 Heavy-duty 4-wire, 20 amp, 120/208/250 volt, with cord clamp. 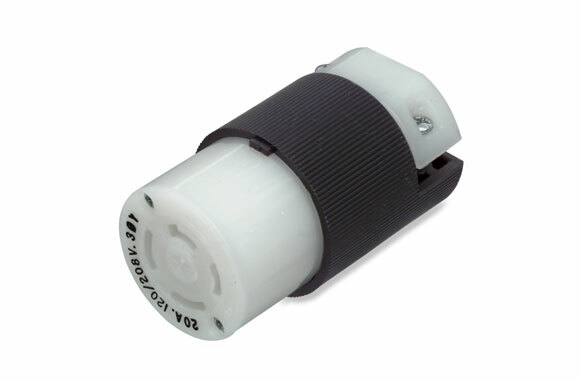 For cable from 19/64" to 3/4" diameter. Device diameter 2-1/4". Item: 4-Wire armored cap (male). Item: 4-Wire armored body (female). 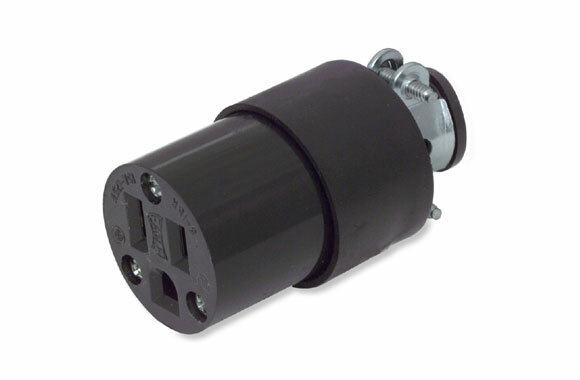 3-Wire parallel blade U-Ground interchangeable with all makes of 3-wire parallel grounding devices. Adjustable cord grip clamp. Cord hole minimum is 7/32" (.218"). 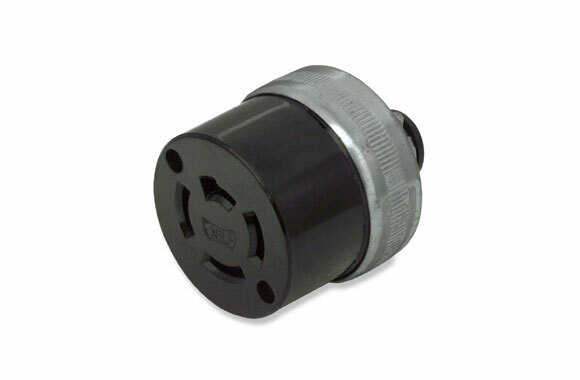 Adjustable to maximum of 5/8" (.625"). 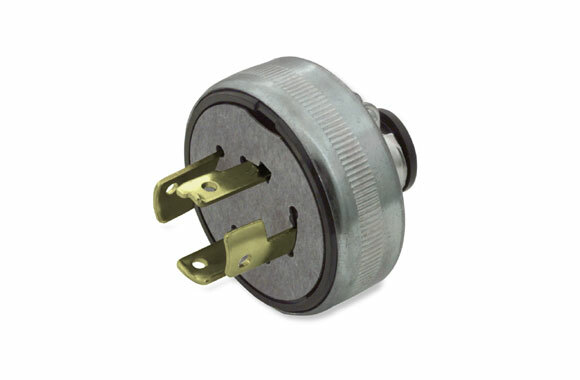 Rated at 15 amps, 125 volts. All rubber body and cap.